Derrick Rose made a name for himself while playing for the Chicago Bulls. Before a plethora of injuries stunted his career, Chicago was Rose's, first love. 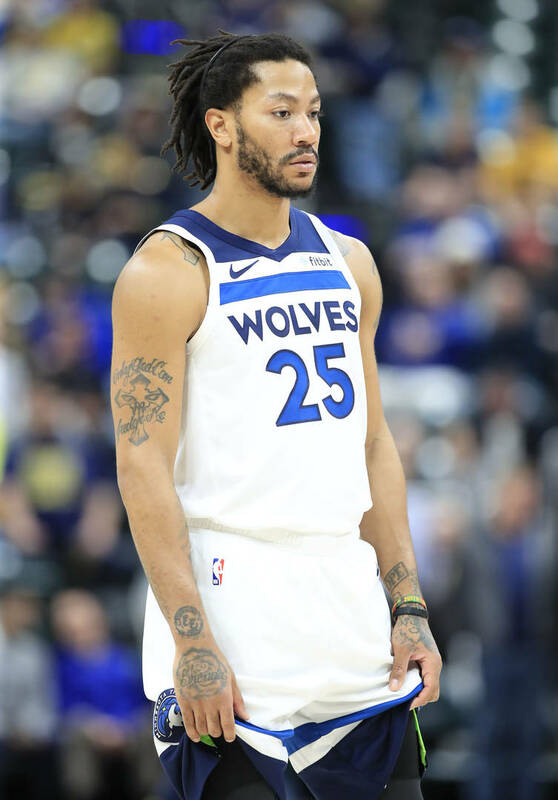 Heading into the offseason, Rose will be a free agent and will be free to leave the Minnesota Timberwolves. During an interview on Monday with 670 The Score, Rose's agent, B.J. Armstrong, explained that Rose would be open to the idea of someday coming back to Chicago. "I think we're going to look at everything, we want to look at the situation," Armstrong said. "There isn't a situation we would not look at because Derrick is still a very capable player. We'll see what the Bulls have. There's no secret, there's no doubt that in his heart, Chicago will always be there. We'll see. I don't know what the Bulls are going to do at this particular time. … If it presented itself, we'd be open to that conversation. We'll find out in due time." Back in December, Rose told reporters that he still has a home in Chicago and that he intends to raise his son there, according to Sporting News. It's clear the Rose has a soft spot for the city and it wouldn't be a stretch to think he'll return if given the chance. This should be good news for Bulls fans who have had to deal with a team that is 13th in the Eastern Conference with a record of 22-58.